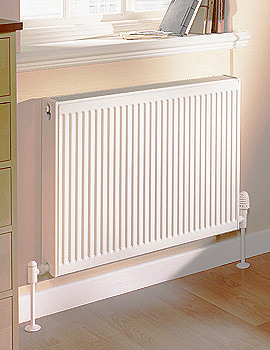 Quinn is one of the leading manufacturer of radiators with years of experience in the heating industry. The Compact range of radiators has a slimline profile and is unobtrusive, making sure they blend into the background of any room decor. All radiators from this brand are tested to 13-bar pressure for maximum safety. Featuring top class construction, dazzling finish and peerless performance, any of these masterpieces makes a wonderful addition to any space. Wonderfully crafted, this enormous range includes single and double panel compact radiators with splendid design and outstanding performance. 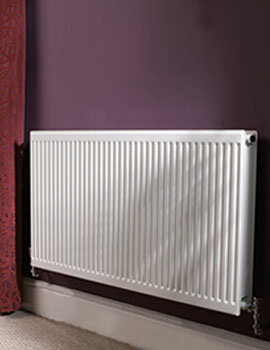 Every unit is finished in a powder coated white paint to guarantee the longevity of the radiator against any conditions. Convection heat accounts for up to 80% of a radiators total heat output, making this range an excellent choice.